Wirt Staff Radbote are JDM Wheels which are made by Work Wheels. They have a 5 spoke design with covered lug nuts which was a popular design at the time. They were available in 16″ and 17″ diameter and in Silver and Gunmetal. 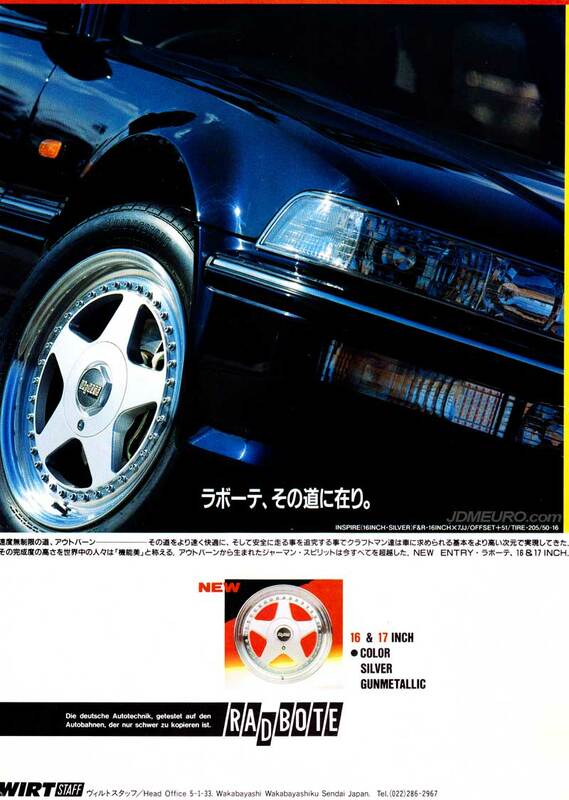 Pictured are the Radbote wheels on a JDM Honda Inspire.